and I love the way it turned out with the blocks. We are snowed in today, with 7 new inches of snow and counting. Luckily I have lots of fabric and lots of projects I want to do! Don’t you LOVE this fabric? Its Daisy Chain by Amy Butler, I got this yard for $5 in Amish Country, gotta love that! 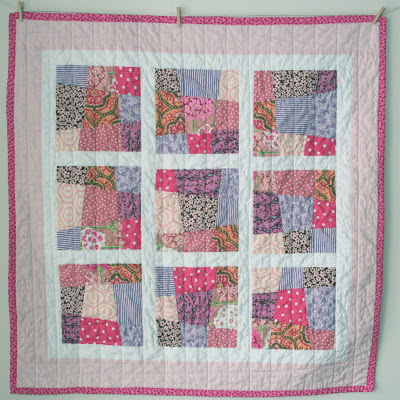 9 Responses to Finished Baby Quilts…the 1st of ’09! They are wonderful quilts! I just love those birds. I’ve thought of getting them, but haven’t yet. I love the blue one, it’s gorgeous! Beautiful quilts!! 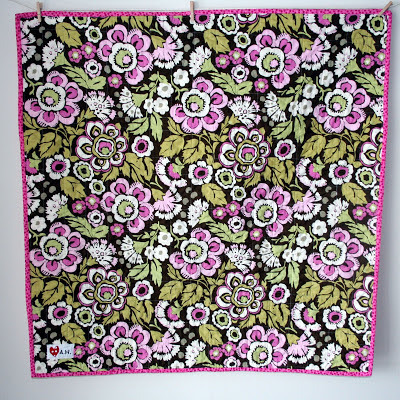 I love the backing for the pink quilt…that fabric is amazing and what a price too! They turned out amazing! You have such talent for putting fabrics together. They always look do great. What are you using for the middle? They crinkle up so good! I love BOTH of these quilts. 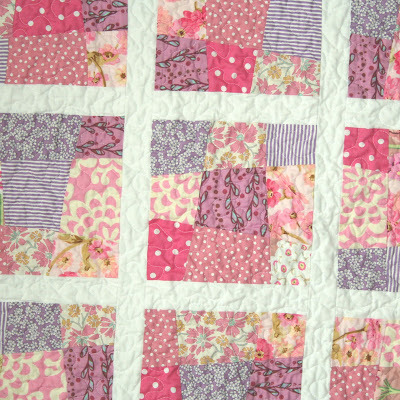 I love the pink and purple colors on that first one, and the stippling quilting. I love those wonky blocks set in the turquoise solid with the quilted lines. Great job with these! 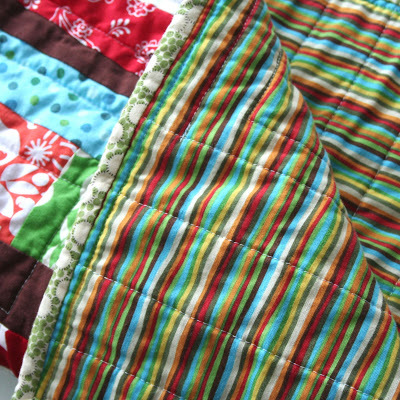 I am loving those quilts! They are all beautiful! Such talented work! And yes, finds from Amish country are wonderful! I live just south of you in Medina. the backing fabrics are SO fun!!! I love love love the teal one. The off center wonky blocks are wonderful, and I love the setting.